CENTRA RESIDENCE is located at 8 LORONG 7 GEYLANG in district 14 (Eunos, Geylang, Kembangan) of Singapore. 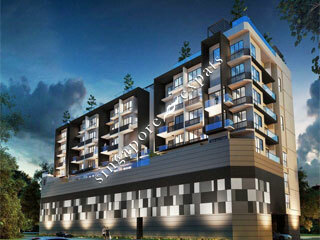 CENTRA RESIDENCE is a Freehold Condo development consisting of 78 units. CENTRA RESIDENCE is completed / TOP in 2017 (estimated), developed by TRIDENT DEVELOPMENT PTE LTD.
Educational institutions like ETONHOUSE INTERNATIONAL SCHOOL, CANADIAN INTERNATIONAL SCHOOL (TANJONG KATONG), CHATSWORTH INTERNATIONAL SCHOOL (EAST), GEYLANG METHODIST SCHOOL (PRIMARY), KONG HWA SCHOOL and ST. JOSEPH'S INSTITUTION JUNIOR are near to CENTRA RESIDENCE. CENTRA RESIDENCE is accessible via nearby KALLANG, ALJUNIED and GEYLANG BAHRU MRT Stations. Centra Residence is newly completed apartment in Geylang. Its very near to Kallang MRT thus making travelling a breeze. Plenty of eateries within 3 minutes walk away. Its alo very near to Singapore sports hub and east coast park. If you are driving, u can easily reach Suntec, mbs and other shopping area via nicoll highway which is 1 minutes drive away. Affordable and Ideal for tenant working in city without paying high rental in orchard area.